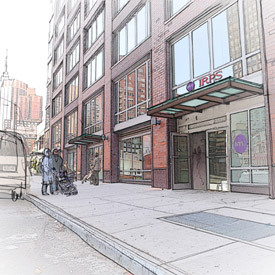 Architectural Illustration reflects all stages of the design progress, ranging from quick conceptual freehand pencil sketches to more developed drawings and renderings in different media, including Pencil, Colored Pencils, Watercolor, Photoshop, Freehand and Computermix. Architectural Design and Conceptual Sketches shows the process of developing conceptual idea from the first sketch to more developed condition. Some Graphic Design works – from logos and posters to a custom requested subject wallpaper. Some Art works are also presented on this site. In Architectural Illustration work I often use AutoCAD and/or SketchUp to create a quick rough model to find a better camera view. If necessary, I am capable to organise and manage a working team to compile large-scale representations and 3D models. Also, I create a “Dropbox” account for each project, so the materials and work progress is shared with the customer.Please see short descriptions of the services listed for approximate time estimates. For price estimates custom to your project, please contact me directly. Pencil sketches and drawings are most useful at the beginning of the design process. They convey the spirit of a space in a delicate way. I make quick conceptual sketches to stimulate your creative process or illustrate the progress phase of client’s design. Photoshop renderings are placed over AutoCAD drawings or Existing photos to easily and quickly experiment with shapes, materials, and different design options without creating a heavy and expensive 3D model. Sometimes it is very convenient to work on existing photo creating “Before” and “After” slides. Watercolor renderings build a unique story and mood around each project: from classical architectural washes to quick brush sketches; from bright and colorful to monochromic and modest. Mixed renderings employ multiple computer techniques and traditional media. They are unique, expressive and flexible.